Nearly 10 years after creating the courses for the LX autocross competition, I'm super excited by the larger spaces now accessible at Blackwood and it's inspired me to create another course. 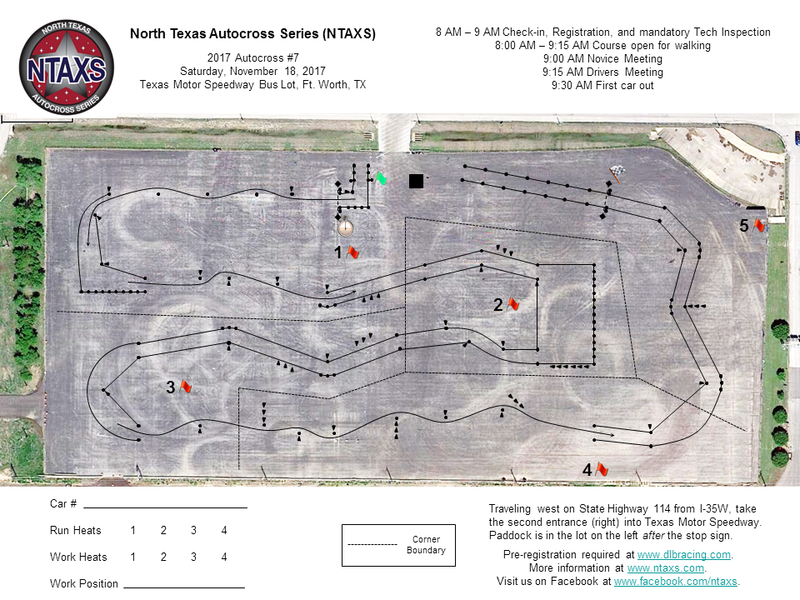 With this space we can now create courses similar in size and speed to those on the US National Autocross Tour. Please see the YouTube video for guidance as I haven't put many arrows on the course itself. Cheers! I just wanted to post and say this is a great layout. I love the new layout options, and seeing an SCCA solo layout that takes advantage of this just makes it all that much more usable. Thanks for this! Quote from HokieDSM : I just wanted to post and say this is a great layout. I love the new layout options, and seeing an SCCA solo layout that takes advantage of this just makes it all that much more usable. Thanks for this! Yes the new area is great for faster layouts. Thanks for the comment - I had been wondering if anyone was even interested in autocross layouts anymore! Edit: btw, you've been registered since 2003 and this is your first post? I think this is great too. I plan to put together some autocross courses as well. I'm going to replicate some of the past courses used by the local club. Quote from thehaus2005 : I think this is great too. I plan to put together some autocross courses as well. I'm going to replicate some of the past courses used by the local club. Awesome. Do you race with them? What car? I used to autocross my miata and now my FRS. I'd like to say that I'm out there every month but the truth is I only manage to race a few times a year. I autocross a SR20DET swapped '71 Opel GT. Here's their most recent course layout. Nice, that looks like a great pad you have there. Ours might be a bit smaller but good for around 60 second runs at fairly low speed. Sounds like a fun car! Okay. I finally got around to replicating one of the local autocross courses. Hopefully I attached the file correctly. This is the course map I was replicating. Looks like a fun course. I'll check it out when I can be bothered to set my wheel up again! Thank you for the layout. Hope there are more to come!